This resource developed for speech-language pathologists and parents gives careful attention to sound and word selection and is presented in an engaging picture format. This publication incorporates many words considered part of a core vocabulary, which is described as “a small set of basic words in any language that are used frequently and across contexts” (Cross, et al., 1997). Targeting core vocabulary words helps children to be better understood by others. 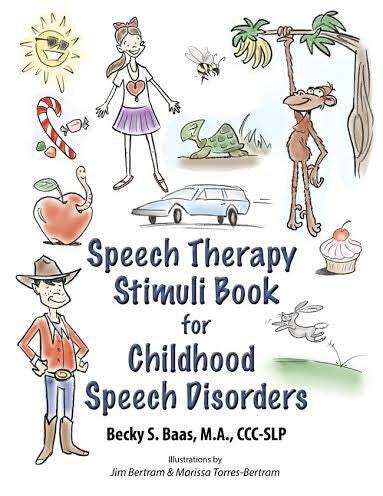 This book is a useful tool to use in therapy and home practice as part of a treatment program for children with speech sound disorders such as children with hearing loss, childhood apraxia of speech, cleft palate, dysarthria, and phonological impairments. The book is approximately 22 pages and spiral bound. 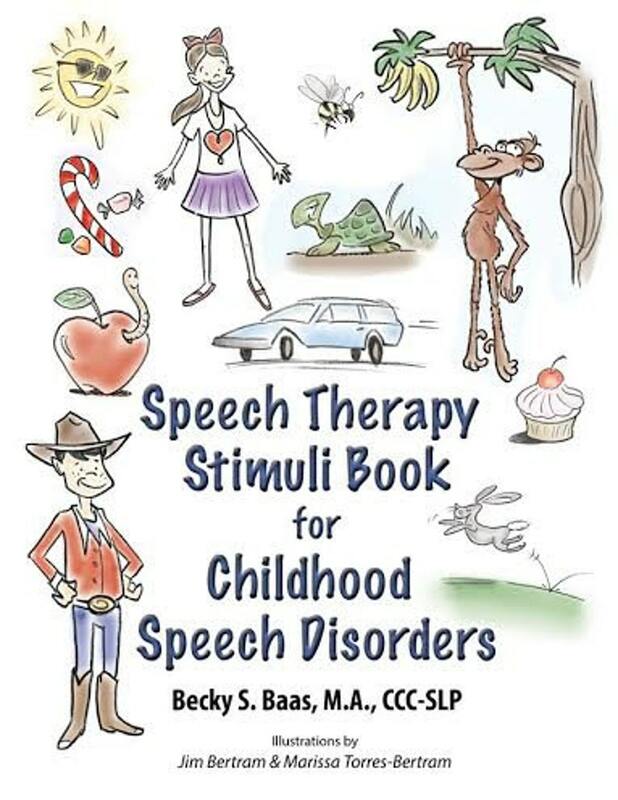 Becky S. Baas, M.A., CCC-SLP is a pediatric speech-language pathologist with 19 years of experience working with children with communication disorders in school and medical settings. Becky has worked since 2005 in the pediatric practice at Mayo Clinic, Rochester, Minnesota. Her clinical and research interests are in the areas of early language acquisition, hearing impairment and cochlear implantation, speech disorders related to craniofacial anomalies, and evaluation and treatment of motor speech disorders in children. Her treatment approach uses evidence-based techniques incorporating practical, functional goals which enhance motivation for the child as well as caregivers. Upon payment, your book is mailed promptly within 2 days of purchase. Very nice illustrations! Will be useful in working with my son :-). Thank you!! !